The Australia Rotary Agricultural Scholarship aimed to help rural communities suffering financial burden due to adverse climatic conditions. Realising the seriousness of long term climate change, the Rotary Club of Monash acknowledged the need for education into farming techniques that will help farmers better cope with new and increasingly adverse conditions. Agricultural Colleges are constantly absorbing scientific information into their curriculum regarding dry land farming and it is vital that this information be given to our farmers. Unfortunately the Colleges have found a reduction in enrolments and even suspension of studies due to financial restraints. 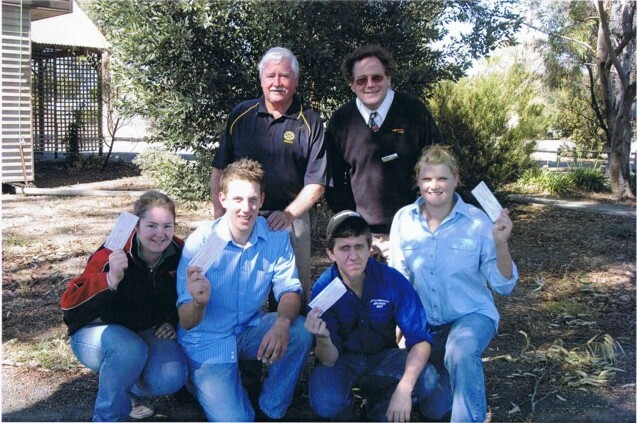 The Australian Rotary Agricultural Scholarship Fund provided scholarships for students to attend a recognised Agricultural College.